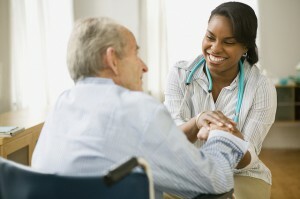 New Hope for Alzheimer’s Patients? Ask any family who’s watched a loved one slip away due to dementia or Alzheimer’s disease what the one wish would be for that loved one; odds are, you’ll hear them say, “I wish Dad could remember his life.” That may be a wish that’s not so unrealistic after all. As elder law attorneys we know the tragedy that comes with an Alzheimer’s diagnosis. It’s heartbreaking and the worst part is there’s nothing anyone can do to alleviate that pain and fear – either for the victim suffering from the disease or his loved ones. This is one reason why the latest data is so important. It could be a massive leap in the study of neurological and age related diseases. Indeed, there could be hope for Alzheimer’s and dementia patients and their families. This new study has many in the medical community rethinking their positions on long-term memory. It’s also promising for those with early Alzheimer’s. Neuroscientists have worked from the belief that memories are safely held in the connections between brain cells, known as synapses. Alzheimer’s targets and degrades those synapses. This new research, courtesy of UCLA, offers evidence that long-term memory is actually stored in a different part of the brain. This is important: “the nervous system appears to be able to regenerate lost synaptic connections,” the study reads. The belief is that a forgotten memory can resurface if the synaptic connections can be repaired. The Aplysia is a marine snail and if you’ve never heard of it, you’re not alone. Few have. Still, this delightful creature possesses both cellular and molecular processes that are eerily similar to humans. Researchers were able to determine that these synapses were important because they’re what allow us to create memories. Most people would think that it makes sense for those memories to be stored in the same brain region. That’s not true, though. When the researchers tried to disrupt this process, they found they couldn’t affect memories. This means those memories are elsewhere and for some years, scientists have been focused on the same synapses that creates the memory. They can now turn their attention to where the memories are really stored. The challenge now if for scientists to provide irrefutable proof of their findings. A scientist with the group says that if their hypothesis is correct, and as long as the neurons are still alive, “the memory will still be there, which means you may be able to recover some of the lost memories in the early stages of Alzheimer’s.” Note: in the later stages of the disease neurons do die, so there will be a lot of attention paid to this aspect as well. This very well could be a huge step in neurological disorders and certainly those associated with memory loss, whether it’s age related or due to an accident or illness. With the ongoing uncertainties surrounding our economy, how it plays out for the type of care our elderly loved ones receive, it’s important to ensure their medical and financial bases are covered. Medicaid and Medicare are two programs millions of families turn to and if you’re concerned about your elderly family members and certainly Alzheimer’s patients, we invite you to contact our offices today. The Zimmer Law Firm stands ready to provide assistance with preparing last wills and testaments, powers of attorney and Medicaid coverage.